Congratulations to Yonhee Gordon, our chief operating officer (left), for being recognized in the InvestmentNews “Women to Watch” program. The fourth annual awards gala was held at Ziegfield Ballroom in New York City on March 14. Yonhee and 21 other women were honored for their willingness to share their expertise with others in the financial services industry. 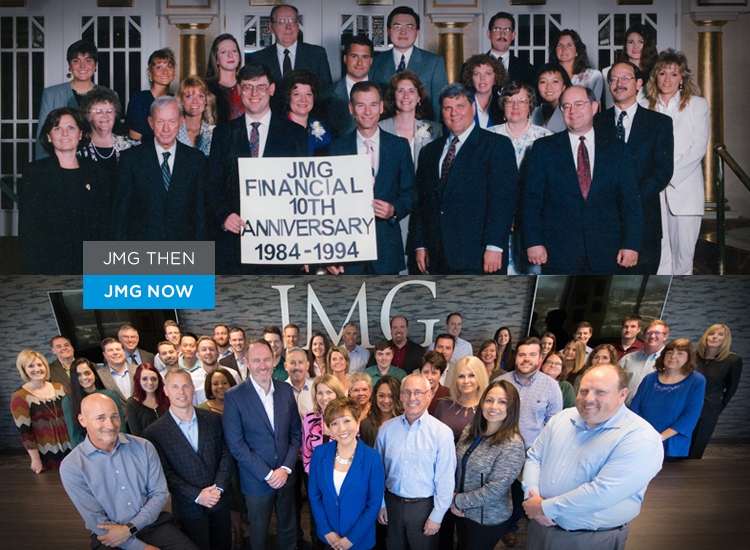 JMG is celebrating 35 years in business this year! Since our founding in 1984, we’ve grown to 65 employees who have collectively dedicated over 800 years of service to the firm. Eight people in the “then” photo are still at the firm. We look forward to our continued partnership with your families for many years to come.